Dental Veneers or Dental Laminates are thin wafer like tooth coverings that are bonded to teeth to change their color, size, shape and/or angulation. The material used can be porcelain, composite, or preformed tooth shaped plastics. The most utilized material is porcelain. It is in the strongest, most natural looking (if done correctly) and the most stain resistant of all materials available. Veneers are used commonly in Smile makeovers, Instant Orthodontics, Anti-aging Dentistry, Rejuvenation Dentistry, Smile Transformation, Face-lift Dentistry, Smile-lift, Lip-lift, Dental lift, Holistic Dentistry, Biologic Dentistry, Cosmetic Dentsitry, Esthetic Dentistry, Venlay Technique, Jaw Trac technique and Facial Dental Harmony Technique (FDHT). There are many different kinds of materials that are used to fabricate Veneers. The critical element in creating a “million dollar smile that turns heads,” is the expertise of the dentist and dental ceramist (techinician). There are a lot of dentists who do veneers but there are fewer doctors who are good at it. Just as in the field of plastic surgery where there are limited surgeons who have developed a more refined skill set in a more specific area of plastic surgery (such as the nose, tummy tuck, face lift, etc…). 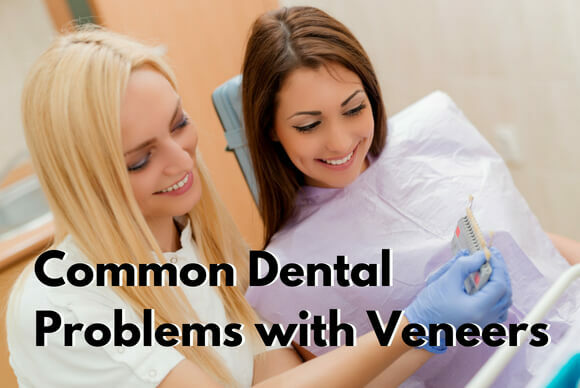 The same is true in dentistry where a limited number of dentists have developed a more refined and exact approach in the area of veneering teeth. The finely skilled dentist working in conjunction with a talented ceramist is what insures the patient to end up with a highly esthetic and a natural looking smile. 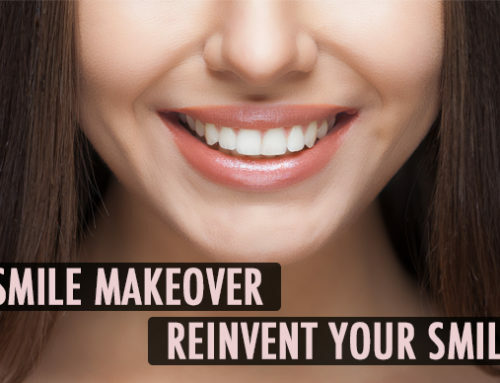 In our office, when planning for a smile make over or anterior reconstruction, the goal is to create a long lasting final esthetic and natural look that is in harmony and balance with the remaining teeth and facial features, using the least invasive and the most conservative techniques that preserve existing tooth structures. Dr Toubia values tooth structure integrity tremendously because by preserving it, he achieves the best long term prognosis for the veneer. By removing less of the tooth, the better and the stronger is the bond between the tooth and the veneer, which insures the longevity of the result. Our philosophy is to think long term meaning that we want the substructure of the veneer(the tooth) to be as strong as possible to withstand chewing and functioning pressure of mastication along with beauty . In our practice, Dr Toubia has developed a comprehensive veneer menue. 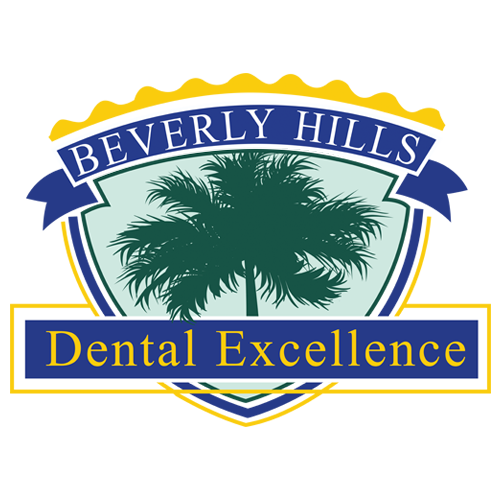 He uses various materials for veneering specific to the individual case, to achieve the goal of beauty and longevity using minimal invasive dentistry. This is a very custom made approach to achieve individuality and uniqueness for every patient, which sets Dr Toubia apart in his approach in creating a “million dollar smile that turns heads” for each of his patients. Each patient present with unique demands and goals. Creating the desirable smile has to be approached in a very custom and individual manner. The following are some of the factors Dr Toubia considers in detail, which are most often different in every patient: Color , tilt,rotation,angulation and spacing of teeth. Relation of teeth to adjacent teeth,opposing teeth and facial esthetics. Availability of sound tooth structure and enamel,relationship to the surrounding gum, patient’s need and demands, and patient’s bite and function. 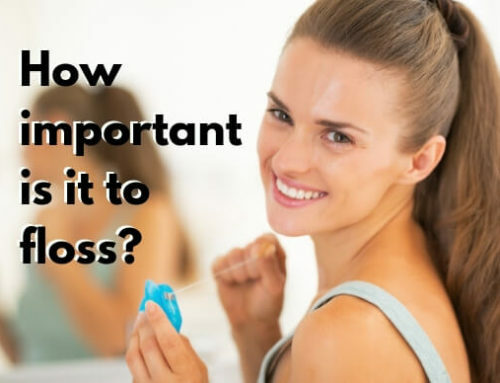 All these factors (and more) affect the final decision as to which technique and material to use to achieve the most beautiful smile. The material most used in veneering are porcelain and composite. Lab processed plastics are also used but mostly for removable veneers. There are many kinds of porcelain and composites that are available. Each has its own specific advantages and disadvantages. 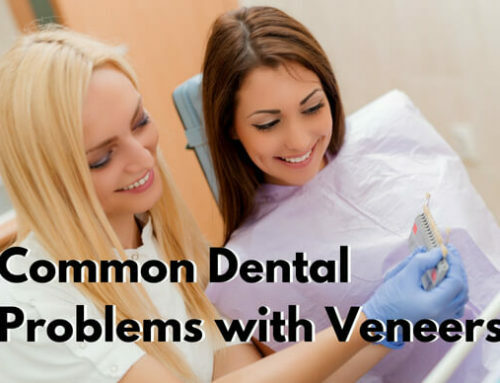 Therefore all veneers are not created equally. There are several types of porcelain that are used the most. They are feldspathic, lithium disilicate (emax) and Zirconia. 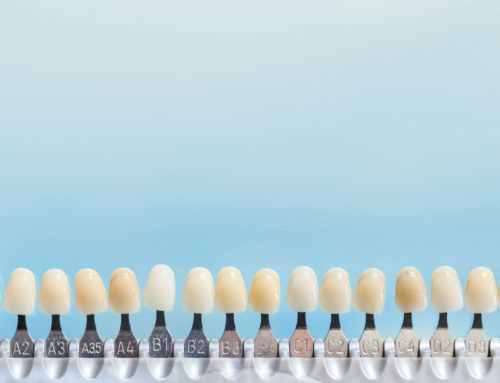 With each of these porcelains or their combination,different types of porcelain veneers are fabricated, namely monochromatic, polychromatic,layered and custom stained. Different strength of veneers are available based on the method they are prepared : CADCAM 3D milled, pressed, and bake on technique, or some combination of each. Likewise, there are also different kinds of composites. Please check out our composite menu and Veneer menue. Having different materials allows us to achieve our goals for every possible situation. It is critical to use the right material for the right case. One of the techniques Dr Toubia utilizes is Sectional Veneers. This is an extremely conservative, non-invasive approach to reconstruct teeth. 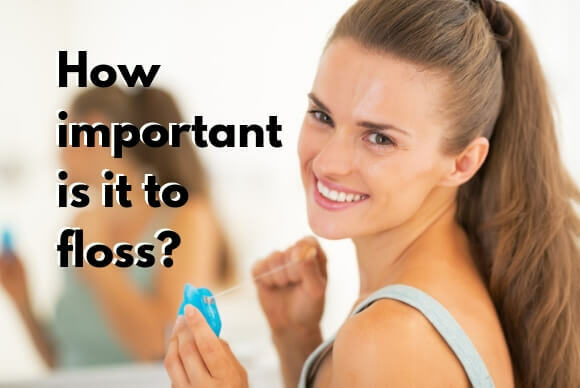 They are used mostly to cover or replace parts of teeth only. Our philosophy is tooth augmentation and refrain from tooth amputation. It is mostlty indicated when part of a tooth is chipped or fractured, or when anterior reconstruction or closing of gaps are necessary.There are other unique situations that this technique is used. Usually with very minimal enamel recontouring or tooth modification, sections of teeth can be restored predictably and esthetically. 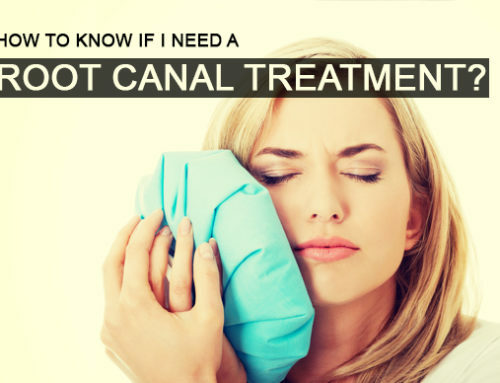 Most of the time there is no need for anesthetic. It is a very sensitive and demanding technique. An experienced cosmetic dentist and a master ceramist with lot of experience are needed to achieve beautiful and natural results. Very few dentists are performing this procedure, because its very exacting in nature and a high level of expertise is needed. 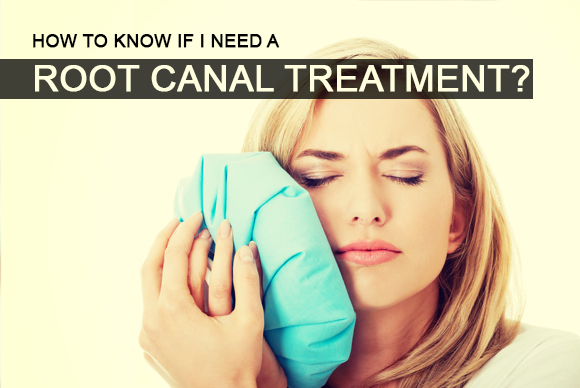 It is a highly conservative procedure that will benefit the patient in the long run. It is a great solution for patients who want to preserve as much natural tooth as possible. Our patients who have chosen this option really appreciate it and are very happy and satisfied with the results. Another highly conservative and non-invasive technique Dr Toubia performs is Prepless veneer or no-prep veneer . Prepless veneer is utilized only in specific situations where ideal criteria exists. As the name infers, ideally there is no preparation of the teeth, but realistically ,in most cases, there is always angulation issues that demands slight enamel recontouring and reshaping to achieve better outcome. 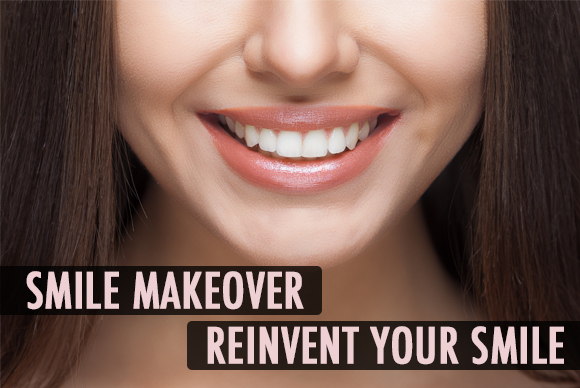 There are very few situations where no enamel recontouring is done. Most dentists that advertize no -prep or prepless veneers always end up doing slight reshaping to achieve a better esthetic results. If no reshaping is done , and if the case selection is not absolutely correct, the veneers endup looking bulkier and without proper invisible finish lines. This will cause future staining around the veneers. The prepless veneers most advertized is the Lumineers. These are ultra thin veneers. There are also various other laboratories that have created their own brand such as Vivaneers, Dura-Thins Veneers, Radiant Veneer, Ultra-Thin Veneers, Da Vinci Simply Thin Veneers, Glamsmile. 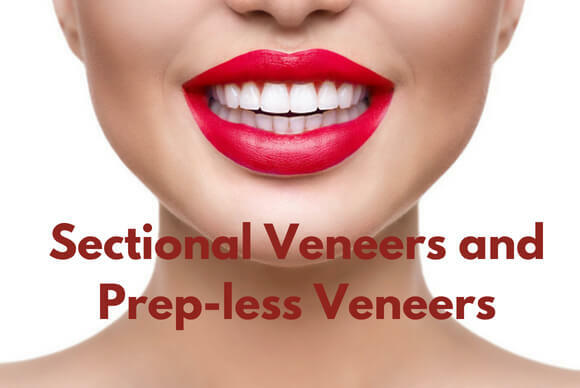 Just as sectional veneers need very specific case selection, so do Prepless veneers. It is not for all patients and for it to be truly prepless , it must be utilized in very specific situations. The advantages of No-prep veneers are: They are more conservative. They save and preserve more tooth structure. They have significantly stronger bond strength if enamel is present. No anesthetic is used. There is minimal requirement for temporaries while they are being fabricated. In correctly chosen cases ,they are highly esthetic. The disadvantages are: Lack of masking dark color teeth. Teeth usually look bigger and bulkier. They have non-ideal finish lines that with time tend to stain. They are more opaque looking in cases where substatial whitening of teeth ( lighter shade) are done. Dr Toubia has developed a modified No-Prep Veneer technique where very minimal enamel recontouring is done to achieve long term stability, better tissue adaptation, better invisible margins, substantially less future staining, better esthetics and less bulkier look. 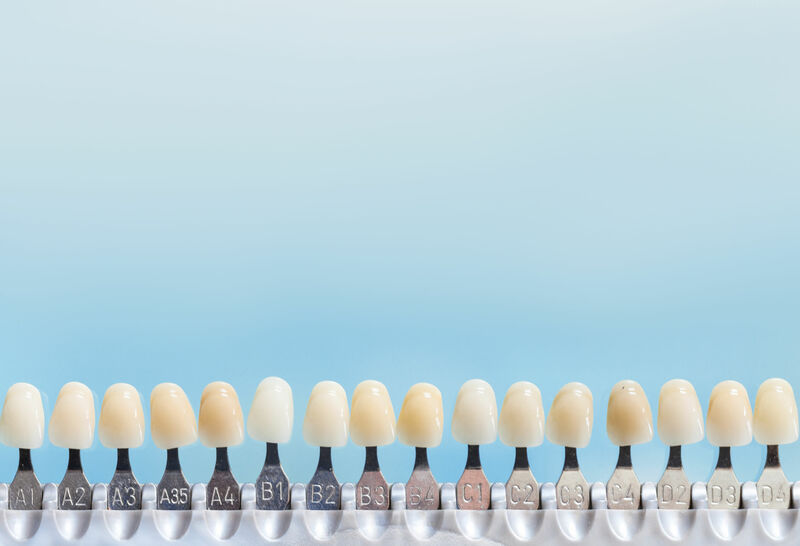 In creating anterior bites, prepless veneers are placed on the inside of upper teeth which are very conservative in nature. These are used most often in Bulimic patients that have eroded the enamel on the inside of their anterior teeth and patients with bite issues. Please contact our office today and make an appointment and find out how Dr Toubia can create a highly customized beautiful and natural looking veneers for you.